This most classic wedding band ring is made unique and fashionable by a sparkling and mesmerizing sapphire stone. The genuine natural sapphire stone has a round brilliant diamond cut, which makes it sparkle just like a diamond. It is set in our proprietary bezel setting for maximum security and stone display. 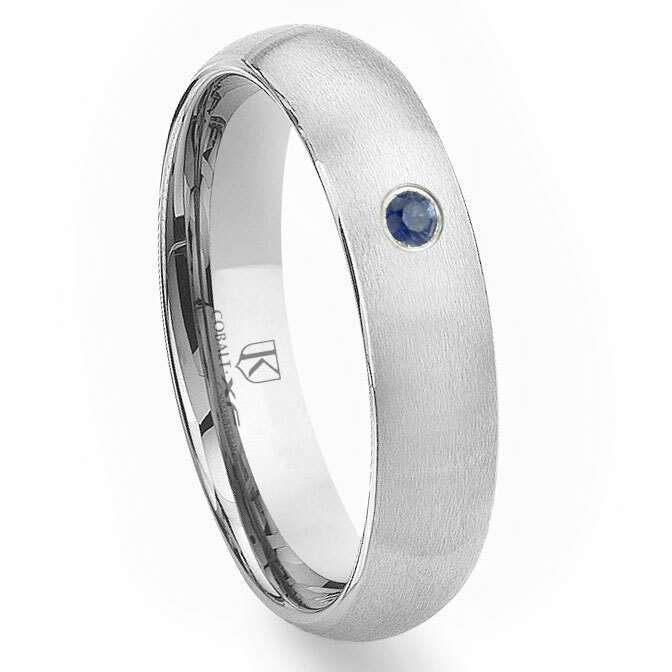 The entire outside of the domed profile cobalt ring is finished in brushed finish. The inside of the ring has a comfort fit design. Cobalt chrome alloy is well known for its scratch resistance and tarnish resistance. It is also hypoallergenic and extremely hard to bend out of round.